Aaron began his real estate career in 1995 after obtaining a degree in Marketing from Texas A&M University. After graduating, he held positions as a REALTOR® in College Station and San Antonio before eventually moving to Austin in 1999. He founded the real estate firms Texas Discount Realty in 1999 and National Agent Network in 2004. In 2016, after years of planning he started Rudder Realty, Inc. 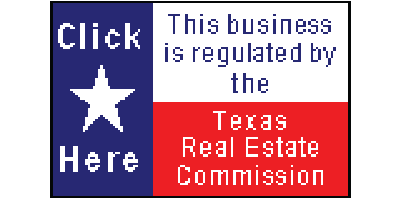 He gained prominence in the real estate industry in 2002 when he successful sued the the Texas Real Estate Commission over anti-competitive rules that it had passed. He immediately won an injunction to the suit and started a 4 year public saga which culminated in being asked to provide expert testimony before a US House of Representative Committee on “Changing Real Estate Market” in July of 2006. Among his many accomplishments, he was named in the Inman News prestigious list of “Most Influential Brokers” in 2005 and has been a panelist at Inman Connect as well a Department of Justice workshop on Competition Policy and the Real Estate Industry. He has been featured in news oulets such as the Wall Street Journal, Dallas Morning News, Austin American Statesman, San Antonio Express-News, USA Today, Austin Business Journal, CSPAN and NPR radio. Aaron is an influential thought leader and servant in the greater real estate community as well, serving since 2006 with the Austin Board of Realtors including on the Board of Directors for the Austin Board of REALTORS® (ABoR) starting in 2009 and was appointed to the Austin Central Texas Realty Information System (MLS) Advisory Council. Aaron also served in leadership positions with ABoR serving in 2014 as its Secretary/Treasurer and as the Chair of the Budget and Audit Committee. In 2016, Aaron was elected and served as President of Austin Board of Realtors, completeing an amazing transformation from industry “outsider” to the President of the 3rd largest Board and MLS in the State of Texas. The experience he gained was invaluable during this time which included conducting over 40 TV, radio, and print media interviews; leading MLS merger negotiations; and CEO contract negotiations among many other activities. Aaron is also active in the community, having served on the Railyard Condominium HOA Board, a member of the Patton Elementary School PTA, the Patton Elementary School Campus Advisory Council, and coaching youth sports for his son and daughters teams. Texas Broker Aaron Farmer on C-Span testifying before the US House of Representatives. Testifying in favor of discount flat-fee real estate services. Aaron is an active member of the ABOR Government Affairs Committee and Political Action Committee; he serves on the Future of MLS Task Force, is a TREPAC Contributor, and a contributor to the ABOR Foundation. He is also a member of 8 different Boards of REALTORS and MLS groups in Texas, though Austin is his primary \board. Aaron is the Treasurer of the Railyard Condominium HOA, a member of the Patton Elementary School PTA, and was selected to be on the Patton Elementary School Campus Advisory Council. As President of NANET Inc., Aaron has overseen more than 2,000 real estate transactions in the past 15 years, some of which were his own investment properties. Aaron is a fourth-generation Texan.